His Excellency Prime Minister Dr. Haider Al-Abadi has received, in his office Thursday, The Russian Ambassador to Iraq Mr. Maxim Maximov. During the meeting, they have discussed the development of political and economic relations between the two countries, discussing developments in the region and the importance of continuing coordination in fighting terrorism. 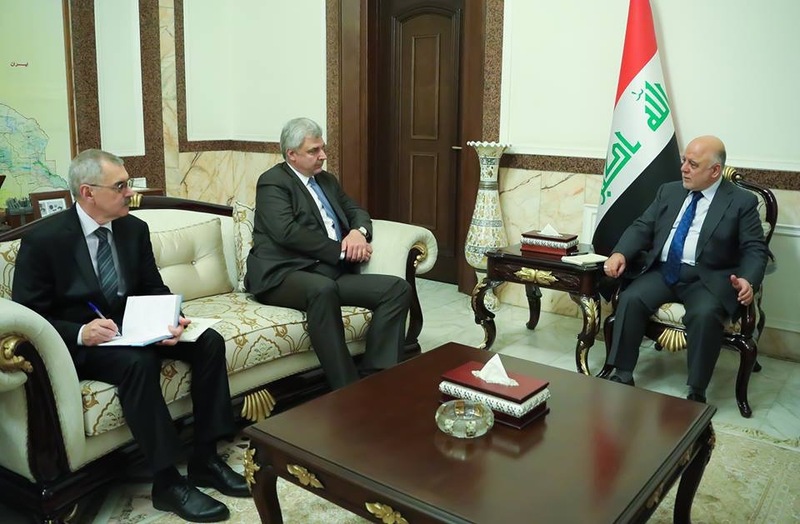 The Russian ambassador has confirmed Russia's openness to cooperate in all fields with Iraq.